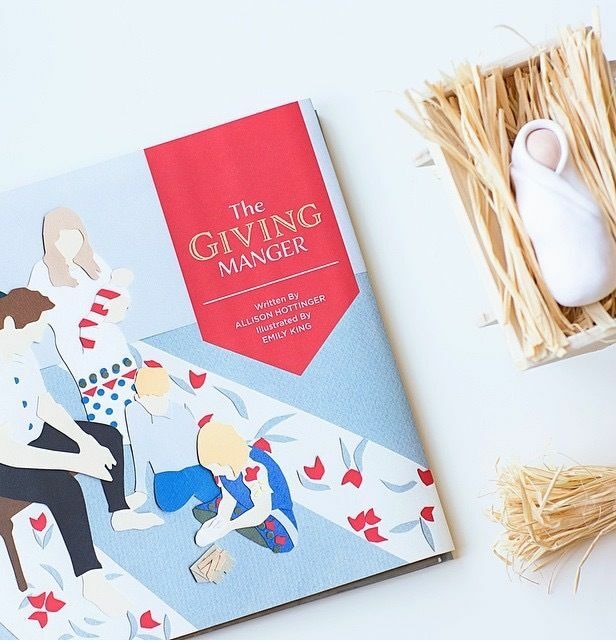 The Giving Manger… A Must for Christmas! I know… I know… this doesn’t have anything to do with food, and secondly, it’s not even close to Christmas! So, the fact that I am posting to share this with you all is a big deal… because I love it that much! This my friends, is a book that truly will touch all your hearts and bring the true spirit of the Savior (Why we even celebrate Christmas!) into your holiday season. An amazing gal that I had the privilege of meeting at one of my cooking classes (meeting all of you is my favorite thing about teaching my classes by the way!) wrote and put together this book and I instantly fell in love with it! The cut out illustrated pages are beautiful and the message is even more beautiful. No… I am not paid to post this… like I said, I LOVE this book and want to share it with you because… trust me…. you will want to share this with your kids and or grandkids, nephews, nieces, neighbors and anyone you love. You can preorder the book now so you can be sure to get a copy (that comes with the set shown in the picture) when it is released in November. Just in time for the blessed holidays! You know me… love to share anything that is amazing with you!